Police in Brooklyn have arrested a man who allegedly stole a Greyhound bus out of the Port Authority Bus Terminal, and the driver is the notorious train and bus thief who's been arrested 29 times in the past, officials said. Police took Darius McCollum, 50, into custody in downtown Brooklyn after receiving a be-on-the-lookout notice from authorities. The bus was initially said to be stolen from New Jersey but officials later said it was taken from the Port Authority depot on Manhattan's West Side, after it had arrived from Philadelphia at 11 a.m. It was scheduled to head on to Richmond, Virginia at about 2:15 p.m., and a supervisor noticed it missing at about 1:30 p.m., police said. The supervisor alerted Greyhound headquarters in Texas, and they were able to track the bus in Brooklyn using GPS. Police were notified, and when they pulled over the bus on 3rd Avenue and Union Street, McCollum allegedly showed the officers a fake law enforcement shield and badge. The man police arrested has a historic of commandeering mass transit vehicles. Ray Villeda reports. No one but McCollum was on the bus when he was located. When questioned, McCollum allegedly told police his next move will be to steal a plane, law enforcement sources said. After questioning, McCollum was arrested on charges of grand larceny, possession of a forged instrument, criminal impersonation of a police officer, unauthorized use of a vehicle and criminal possession of stolen property. It's not clear if he's retained an attorney. He did not comment to reporters when he was escorted from a police station Wednesday night. Greyhound said all its buses are equipped with GPS, which enabled authorities to recover the stolen bus quickly. The company added it was cooperating with local authorities as it conducted its own investigation. McCollum has been arrested 29 times for posing as a transit worker to steal buses and trains in New York City and drive the routes. Watch NBC 4 New York's Chuck Scarborough report on one of the previous arrests of Darius McCollum, who allegedly stole a Greyhound bus out of the Port Authority Bus Terminal this week. 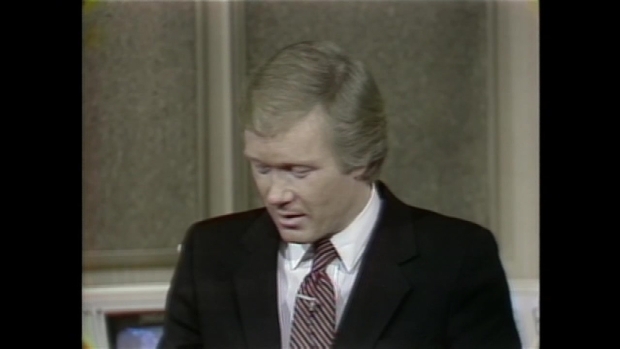 NBC 4 New York has been covering McCollum since the early 1980s. McCollum has become a celebrity for escapades that began at age 15, when he piloted a subway train six stops without any passengers noticing. He grew up in Queens near a station serving two MTA lines, and learned the mechanics of the transit system from workers who took an interest in him. McCollum had the subway map memorized by the time he was 8, and tried unsuccessfully to get a job with the transit system. Instead he became a transit impostor and has been arrested 29 times. But he is not a violent criminal, his lawyer has said in past cases — he just drives the routes, fixes tracks and takes tolls without an official job until he's caught by police. He worked out a plea deal in 2013 for a 2010 arrest in which he was caught driving a stolen Trailways bus on a highway leading to Kennedy Airport. McCollum had faced up to 15 years if convcted at trial, but under the deal, he was allowed to enter a program to undergo cognitive behavioral therapy. He was diagnosed with autism spectrum disorder, his lawyer said at the time, and his repeated arrests stemmed in part from it.